A hobby "is a regular activity that is done for pleasure, typically during one's leisure time. 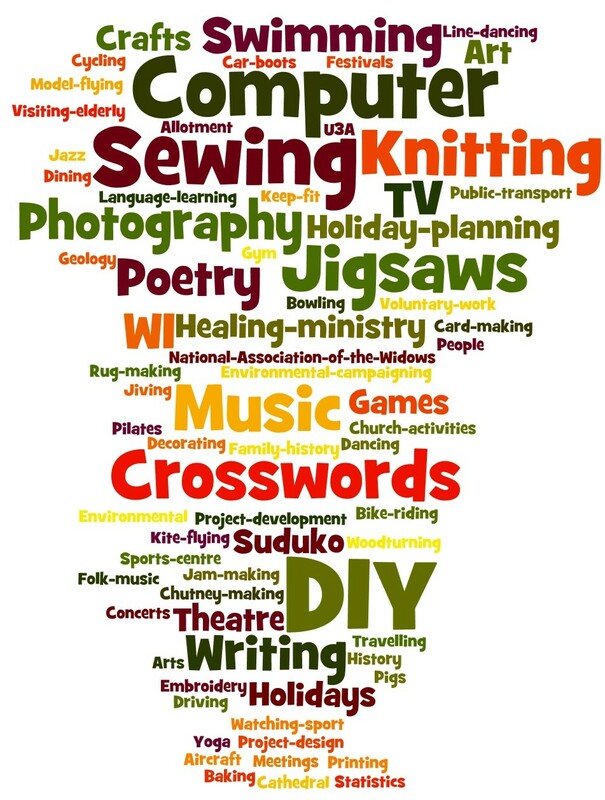 Hobbies can include collecting themed items and objects, engaging in creative and artistic pursuits, playing sports, or pursuing other amusements. By continually participating in a particular hobby, one can acquire substantial skill and knowledge in that area. Generally speaking, a person who engages in an activity solely for fun is called a 'hobbyist', whereas a 'professional' generally engages in an activity for reward and an 'amateur' (from French for "lover of") does so out of personal interest in an activity. While an amateur may be as skilled as a professional, a professional receives compensation while an amateur generally does not." Leisure, or free time, "is time spent away from business, work, domestic chores, and education." Geocaching "is an outdoor sporting activity in which the participants use a Global Positioning System (GPS) receiver or other navigational techniques to hide and seek containers, called "geocaches" or "caches", anywhere in the world." + Terminology : "There are various acronyms and words commonly used when discussing geocaching." Airsoft "is a primarily recreational activity where replica firearms shooting plastic rounds are used for personal collection, gaming (similar to Paintball), or professional training purposes (Military Simulations and Police training exercises). A primary difference between airsoft firearms and BB guns is that airsoft uses 6mm or 8mm plastic pellets and have muzzle velocities of less than 700 feet per second (FPS), which is generally considered safe when used in a controlled environment..."
"Dans la série « Jeux de piste », ce dossier destiné aux enseignants d anglais, amène les élèves à découvrir quelques passe-temps et loisirs des pays anglophones. Un parcours Web est proposé aux élèves qui doivent, pour aller d un site à l autre, résoudre des énigmes. La fiche professeur donne les réponses aux questions du parcours proposé dans la fiche élève. Une documentation complémentaire et des prolongements pédagogiques permettent d'aller plus loin dans l'exploitation de la thématique." Camping Supplies - "We love these photographs of meticulous still life collages by Jim Golden." "People who collect things are called by many names. Some of their names are as unusual as the items they collect."